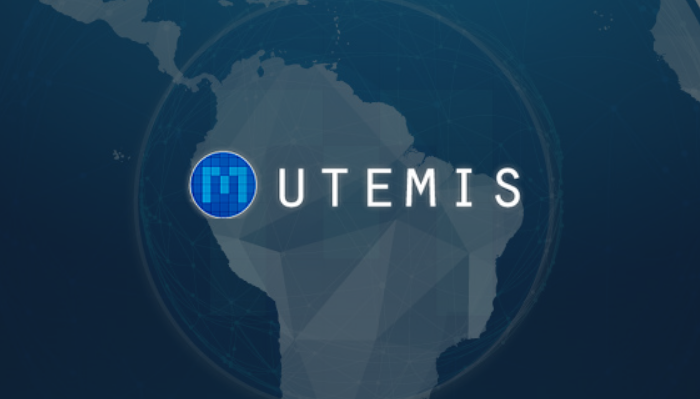 Utemis: The Only Decentralized B2B E-commerce Using Blockchain to Transform the Latin American Continent into One Market. The rapid proliferation of the Internet has given rise to the concept and practice of electronic commerce, which has become a common phenomenon in the world today. E-commerce is the electronic process by which individuals or organizations make a transaction, such as buy, sell, transfer, or exchange products, services and/or information. In a nutshell, e-commerce effectively erases the necessity of huge investments or outlays on physical infrastructure to develop a global presence, which has led to a revolution in the way business is conducted around the world. Blockchain is a foundational technology upon which any system can operate. It is a database technology that creates an auditable distributed ledger of transactions recorded digitally among a broad network of users. UTEMIS -the first e-commerce that decentralizes businesses reputation on the Blockchain and unificates Latin America into a single economic space. Something happens; you get 100% of your money back. UTEMIS is a new business model where they put the people’s priorities first. A place where if you don’t deliver, or poor quality or fraudulent products are provided it will be recorded for everyone to see on the blockchain. But it is also a place where if you are honest and do honorable business it will also be publicly available on the blockchain – adding significant business growth. Decentralizing businesses reputation enables Latin American companies that have never met each other to conduct international business based on trust. Their reputation is public, available and verified. Big e-commerce companies in China emerged as secure platforms where businesses that did not know each other were protected against fraud and theft. Using an escrow account, and a huge sales force in combination with thousands of sales events all over China, these companies enabled a new generation of business owners to capitalize on opportunities that they could only dream of before. In Latin America this has not happened yet. With cross border trade of $820 Billion, and a total combined GDP of $9 Trillion, Latin America is not growing as much as China mainly because of extensive government interference, widespread corruption and market inefficiencies. Just as Bitcoin was not created to remind governments having fiat currencies that they should protect consumers instead of themselves, but to create something new and fundamentally better; a new decentralized architecture that protects consumers. UTEMIS is applying the same business model that successful Chinese e-commerce companies use to end economic and financial unfairness in Latin America. UTEMIS team has an extensive professional experience in the banking industry. They know the business, territory, and what needs to be done and has done it before. The Advisory Board is particularly strong in banking and in particular in payment platforms. The Country Managers are successful entrepreneurs that know how to make things happen. UTEMIS aims to be a successful business that thrives by doing good and that goes beyond generating change. UTEMIS wants to be the change itself. It’s been way too long for Latin America. By decentralizing businesses’ reputations for everyone to see and exposing them to new business opportunities, millions of people can finally have the opportunity they deserve. For more information and participation, kindly visit: https://www.utemis.com. RXEAL : The Latest way to profit from the Rental Markets through Ethereum Blockchain Technology.